Tamazga, the ancient homeland of the indigenous Amazigh (Berber) peoples stretched from the Canary Islands to the western edge of Egypt and includes Algeria, Tunisia, Libya, and Mauritania. The conquest of this large territory during Byzantine times by Arab armies already converted to Islam unified the area in terms of a single language and religion, obscuring Amazigh origins and ignoring their mother tongue and customs. After the Ottoman Era many Amazighen were caught between the demands of French colonialism and Arab nationalism. Marginalized by rulers determined to establish a homogenous narrative by ignoring differences, the Amazighen risk cultural extinction. 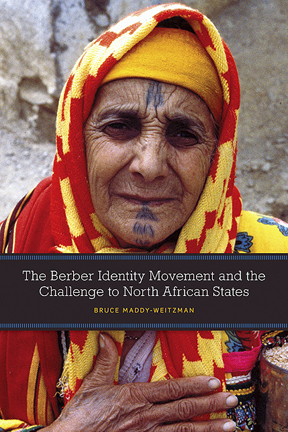 The Berber Identity Movement And The Challenge To North African States by Bruce Maddy-Weitzman, University of Texas Press 2011 provides a brief history of the Amazighen before detailing the contemporary struggle for cultural and linguistic expression. While the Amazigh language is now being taught in Morocco, the number of native speakers continues to decline. Leaders within the Amazigh identity movement are striving for a modern, secular approach that includes women, hoping this will improve chances for a better life in the future. This book brings into perspective the complex and difficult, ongoing fight of the Amazighen for recognition. Mill Valley Film Festival 36 runs 3 – 13 October 2013 with screenings at the Smith Rafael Film Center in San Rafael and Cinearts Sequoia in Mill Valley. Features include: Al Helm: Martin Luther King In Palestine directed by Connie Field (US) 2013; Belleville Baby directed by Mia Engberg (Sweden 2012); The Best Offer directed by Giuseppe Tornatore (Italy) 2013; Blue Is The Warmest Color directed by Abdellatif Kechiche (France) 2013; Capital directed by Costa-Gavras (France) 2012; Cheba directed by Francoise Charpiat; The Dandelions directed by Carine Tardieu (France) 2012; Lumumba directed by Raoul Peck (France) 2000; One Man’s Show directed by Newton I. Aduaka (Nigeria/France) 2012; The Past directed by Asghar Farhadi (France/Italy) 2012: The Year And The Vineyard directed by Jonathan Cenzuel (Spain) 2013; Yema (Algeria) 2012; and Zaytoun directed by Eran Rikiis (UK/Israel) 2012. Also the California Film Institute will honor Greek-born director Costa-Gavras in a tribute program that includes a conversation, moderated by Peter Coyote, and a showing of his latest film, Capital. 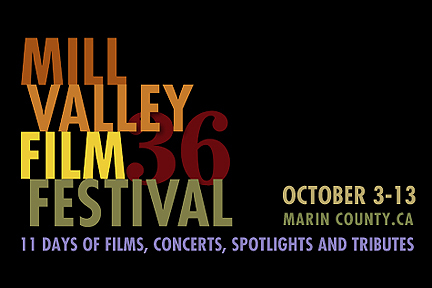 More information about the entire festival program available at the Mill Valley Film Festival.